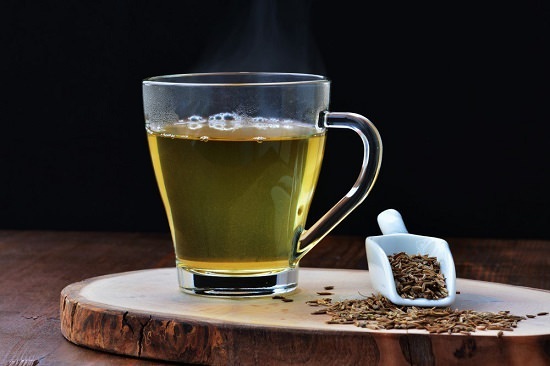 How to make jeera water to drink your way to a more fit body and lose weight! Cumin, or jeera, is an integral part of a majority of curries and stews, especially in India. Cumin is rich an anti-inflammatory antioxidant and is also known to be antibacterial and antiseptic. It can solve plenty of your tummy woes, secure digestive tract, relieve nausea, and bloating as well as constipation. Starting your day with a glass full of jeera water can solve a lot of health problems and prove to be effective in weight loss. There is also a research on this on PubMed on the effect of cumin on obesity and our article on how to use cumin to lose weight. Jeera water or cumin water can be one of the best natural remedies for various health problems and a great advantage to our bodies. If you are looking for an article on How to make jeera water to drink, you are in the right place. All you need to do is boil a few seeds of cumin in water, then allow it to cool and drink it early in the morning on an empty stomach. Drink it regularly to reap the health benefits of cumin in a short time. Helping in digestion is probably the most apparent advantage of cumin seeds. These seeds have a natural capability of improving your digestive system. Due to this, you can consume these seeds whenever you suffer from indigestion. Apart from that, regular consumption of cumin seeds can bring long-term relief from diarrhea, nausea, flatulence, and various other problems that are caused due to stomach disorders. This is among the most important utilities of cumin seeds. People all over the world are well aware of the uses of cumin seeds for acid reflux. If you feel the troubles of acidity, stomach pain, and other symptoms of stomach disorder, then you just need to chew a pinch-full of raw cumin seed. You can drink a little water after half an hour to get some immediate relief from all the troubles. The stomach disorders are caused by acidity, and that is why you can expect some very good results by consuming cumin seeds as the remedy. This is so because cumin seed can release important enzymes in the pancreas. These enzymes are extremely helpful in the process of digestion and also provides vital nutrients. Cumin seeds can be beneficial in eliminating the problems related to stomach. Regular intake of cumin seeds can be a boon to your health!